HCM City (VNA) – Ho Chi Minh City People’s Committee Vice Chairman Le Thanh Liem met with Arthur Ruland, general director of Bullyland AG, who visited the city to seek partnerships on behalf of the world toy manufacturers’ association. 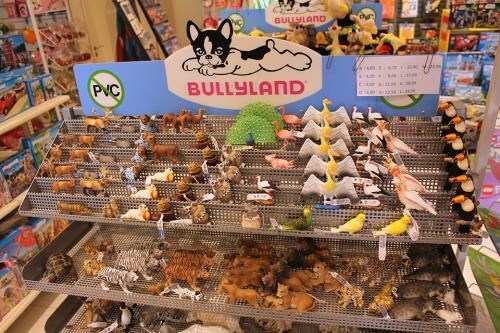 Ruland spoke highly of the city’s business climate, saying that Bullyland, the producer of hand-painted collectors’ models and figurines, is looking to build a factory here and hopes that local authorities could facilitate the plan. The world toy manufacturers’ association also has plans to relocate its factories from Indonesia to Vietnam, he said, adding that he would introduce more international enterprises to the country. Welcoming Bullyland to Ho Chi Minh City, Vice Chairman Liem briefed his guest on the economic hub. The city has a population of about 10 million people, including 1.4 million children, making it a promising market for toys, he said. Liem noted that the city always opens its doors to high-tech toy manufacturing projects that provide good-quality, creative, intelligent toys for kids.